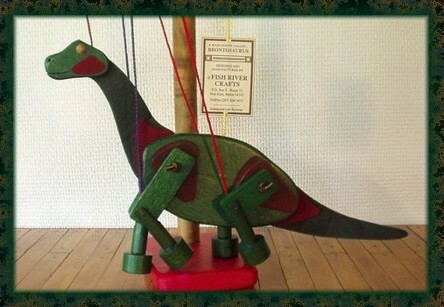 Measuring 16 inches from nose to tail, this is one impressive long-neck dinosaur! Watch the long, smooth strides of this fabled creature and imagine the ground-shaking beneath you. A rich, lustrous green and brown finish make this an animated wooden motion-sculpture of exceptional quality, worth keeping for a lifetime.